This page contains a single entry by Westley Annis published on April 2, 2008 7:59 AM. Marks national "Sunshine Week" with column spotlighting need for FEMA, Administration openness and transparency. was the previous entry in this blog. Legislative Pay Hike is the next entry in this blog. Many in Southeast Louisiana are mourning the passing of Deacon Willie Orgeron, who died in his Thibodaux home on Saturday, March 29th, 2008. Deacon Willie, a well-regarded church and civic figure, is survived by his wife of 51 years, Margaret Ann Boudreaux Orgeron and four sons: Ray Joseph Orgeron & his wife Malese, of Woodstock, Georgia; Ricky James Orgeron & his wife Sheila; Randy Jerome Orgeron; Robert Jude Orgeron & his wife Sandy - and six grandchildren: Heather, Damian, Devin, Michele, Macie, and Megan. Deacon Orgeron also leaves behind his sister Jackie Orgeron Gilfour, and his brother Jean Lawrence Orgeron (of Lafayette). Predeceasing Deacon Orgeron was his mother Solange Marie Pitre Orgeron, and his father Leon J. Orgeron. Visitation will be in St. Joseph Co-Cathedral, Thibodaux, from 7 p.m. until 10 p.m. on Thursday, April 3, 2008. Visitation will continue on Friday, April 4, from 8 a.m. until funeral mass time at 10 a.m. Internment will be at St. Joseph Cemetery. In lieu of flowers, the family is requesting that donations be made to St. Joseph & St. Genevieve Elementary Schools in Thibodaux. As a teenager, Willie worked as a counter clerk & butcher in the Capitol Store on Jackson Street. Following his graduation from Thibodaux College in 1953, where he was the senior class secretary, Willie served in the US Navy as an aviator. He was stationed in Pensacola, Corpus Christi, San Diego, and on the carrier USS Princeton in the Pacific off the coast of Japan. Lt. L.G. Willie Orgeron was honorably discharged in 1959. During his time in the military, Willie married Margaret on December 26, 1956. Between 1959 & 1966 the Orgerons lived in McComb, Mississippi, where Willie, worked as a district manager & supervisor, overseeing the operations of nineteen Sears, Roebuck & Co. stores. Eventually, they returned to Thibodaux and settled on the President Street property that previously had been Margaret's childhood home. For the next 38 years they lived in the shadow of St Joseph Co-Cathedral where they reared four sons and countless dogs and cats. The start of Willie's lasting legacy was when he graduated with a Bachelor of Education degree from Nicholls State University, in 1969, and began teaching math & science at Central Lafourche High School in Matthews. While there, Willie completed a Master of Education degree at Nicholls, with a minor in Business Administration. He taught at Central Lafourche until 1974. That same year, Willie finalized his personal commitment to the Church and was ordained as a Catholic permanent deacon. With the support of his family, friends, and the diocese--on May 18th, 1974--he was distinguished to become part of the very first group ordained when the Second Vatican Council restored the Diaconate ministry. 2008 would have marked his 34th year of service. Inspired by his ordination, Msgr. Francis Amedee invited Willie to become the principal of Saint Joseph Catholic Elementary School in 1974. Principal Orgeron (aka: Mr. "O" & Big "O") proudly and resolutely gave his life to St. Joseph Elementary for thirteen years. During his tenure as principal, enrollment reached record levels. An overall increase in student population produced twenty-four additional classes. A campus expansion to accommodate the growing numbers included a multipurpose building and additional classrooms. Those who knew him in the Houma-Thibodaux Catholic Diocese, recognized that Willie lived his Christianity. Upon learning of his death, Los Angeles Auxiliary Bishop Oscar Solis remarked that, "Willie was a good man and St. Joseph Church is limping without him." Willie was always true to his beliefs when others who wore the collar were not. When asked about the sometimes difficult and varied personalities that he had to deal with amongst the church hierarchy, he would respond that he was not doing it for them but for the people--who truly were the Church--and for his God. This is why we can only be sad for ourselves but not for Willie because--as many of you have pointed out to me--he is certainly in heaven. The secret to Willie's ability to connect with people was that he was really just a man. Those of us who knew him when his vestments were hanging in the closet, knew that it was because of his understanding and acceptance of his own humanity that made him approachable on most any subject. Willie always had some wisdom to share on any issue that you came to him with. And, short of any real wisdom, he'd certainly be able to share a story that let you know that he understood where you were coming from. Willie enjoyed a morning cup of hot chocolate with his wife, went into his bedroom to dress and simply died. A better death could not be hoped for. His body was beaten down from his long bout with diabetes. Willie Orgeron will be fondly remembered by all those he mentored as an educator, those he counseled during Pre-Cana, those he baptized, those he instructed through the Rite of Christian Initiation, and by all those he married. He will also more simply be remembered for his jovial whistling, and for his love of conversation. Willie's easy-going, non-judgmental demeanor; his extravert personality; his storytelling, his cool-headed rational approach to life, his leadership ability; and his willingness to pitch-in and lend-a-helping hand will be missed by many -- but he will especially be missed, and lovingly remembered, by those who called him husband, daddy, and papa. Visitation will be from 7 to 10 p.m. Thursday and from 8 a.m. to funeral time Friday at St. Joseph Co-Cathedral in Thibodaux. Mass will be at 10 a.m. Friday at the church, with burial in the church cemetery. 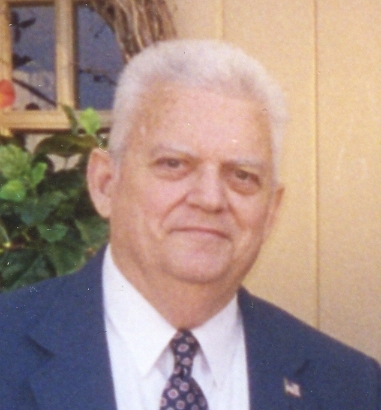 Listed below are links to blogs that reference this entry: Willie Ray Joseph Orgeron (1934 - 2008).